Iran’s oil minister Bijan Zanganeh expressed his dismay towards Greece and Italy for not buying its oil despite US exemption grants. He further criticised the two countries for not giving Tehran any explanation about their decision. “Greece and Italy have been granted exemptions by America, but they don’t buy Iranian oil and they don’t answer our questions,” Zanganeh said. “No European country is buying oil from Iran except Turkey,” the minister added. Greece and Italy are among the countries allowed by the US to temporarily continue buying Iranian oil as Washington reimposed sanctions on Iran’s banking and energy sectors.The other countries, Turkey, China, India, Japan, South Korea and Taiwan are also granted exemptions by the US. 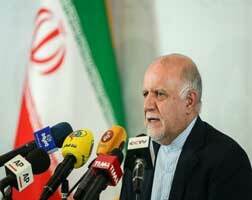 Zanganeh was firm that Iran will not allow the US to reduce its oil exports to zero. Although the Minister admitted that the US sanctions on Iran were far more difficult than the Iran-Iraq war in 1980s.